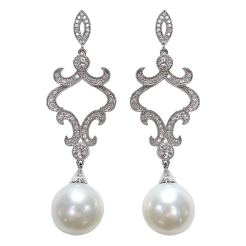 These Earrings are packed with flash that comes from 0.75ct total weight of White Diamonds. 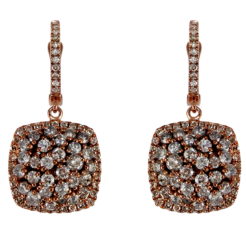 The Diamonds are “G-H” in color and “SI” in clarity. The Hoops are made from 14kt White Gold.